After two days of cooler weather, firefighters in North Texas are bracing for the return of high fire-danger conditions. The Possum Kingdom Complex, made up of four wildfires near Possum Kingdom Lake, has burned about 150,000 acres and destroyed at least 160 homes. 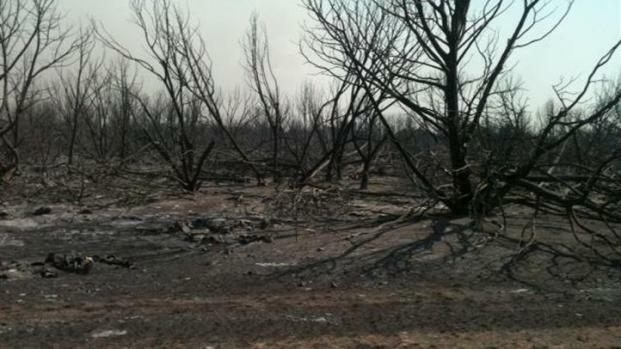 The complex remained 25 percent contained, the Texas Forest Service said Friday night. "Things are looking really good," said Haven Cook, a spokeswoman for the federal incident management team coordinating the Possum Kingdom firefight. Some rain and calmer winds helped firefighters on Wednesday and Thursday. But higher winds and warmer temperatures are expected to be back Friday. Fires are still burning in Palo Pinto where residents are getting their first glimpse at the damage. "Unfortunately, it's not real good news," said Matt Bishop, a National Weather Service meteorologist. "The chance of a Friday shower is looking pretty slim for the Possum Kingdom area." Firefighters said it could be another week before the wildfires are contained. So far, the week-old fire has burned more than 150 square miles. Nearly 70 percent of Texas in extreme and exceptional drought. Gov. Rick Perry has proclaimed a three-day period, from Friday to Sunday, as Days of Prayer for Rain. The Possum Kingdom complex of fires has raged for days, we got to see first-hand the devastation during a tour of the Gaines Bend development. The community of Gaines Bend is among the hardest-hit areas around Possum Kingdom Lake. Evacuated residents have not been allowed to see the damage, but police escorted news cameras past the roadblocks. House after house are rubble, but a few are unscathed. "This is an event that is going to mark time in our county's history," Palo Pinto County Sheriff Ira Mercer said. "It's something that is going to change forever the looks, and the community itself. I mean, it'll be life before the fire and life after the fire -- it's that big a deal." 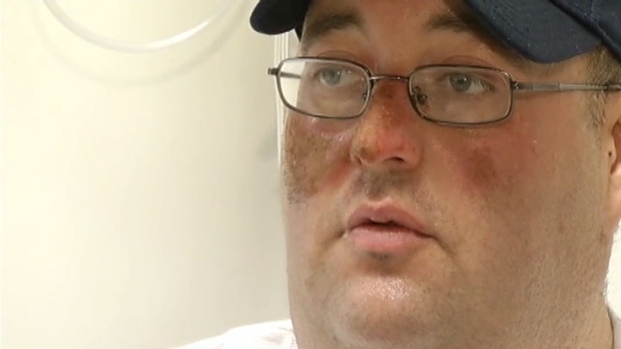 Eastland County volunteer firefighter Matt Clark is recovering at Parkland Hospital after narrowly escaping when flames engulfed his fire truck outside Gorman. The TFS released the following information about wildfires near the Metroplex. To see a statewide list, click here. Stephens County, Mossy Rock Ranch Fire -- 800 acres, 100 percent contained. Jack County, Bryson Fire Complex, two fires -- 7,500 acres. Initially, 14 businesses and 140 home and outbuildings were threatened and 70 people were evacuated. 100 percent contained. PK Complex Fire Update: The Southern Area Red Team continues to assist with managing the PK Complex. Yesterday, light fire activity was observed due to the rise in relative humidity, continuous cloud cover and early morning precipitation. This allowed crews to continue building line and mopping up small hot spots. The acreage remains at 147,973 with 25 percent containment. Today crews will continue constructing dozer lines throughout the fire, well ahead of the current fire perimeter, as well as keeping in place fire engines, firefighters, and other equipment to protect homes and other property in the PK Complex area. Crews will be mopping up hot spots as they are found along roads and will also be burning small pockets of vegetation within the perimeter to prevent future fires. Teams will also be with continuing with damage assessment throughout the area. From 10 am to 6 pm today, the Palo Pinto County Sheriff and Judge and the Texas DPS facilitated a temporary opportunity for residents of Hog Bend, Sportsmans World, Gaines Bend and the Hills above PK Lake to assess their property and retrieve certain items. The following road closures remain in place: 16N closed from the intersection with 180 at Brad to the intersection with 337. FM 4 is closed from the intersection with 180 to the intersection with 254. Road 254 is closed from the intersection of FM 4 to the intersection with 16N. The evacuation for the following areas around Possum Kingdom Lake remains in place: the Peninsula; the area along 2353; the Cliffs resort; Gaines Bend; Sportsmans World; and Hog Bend. 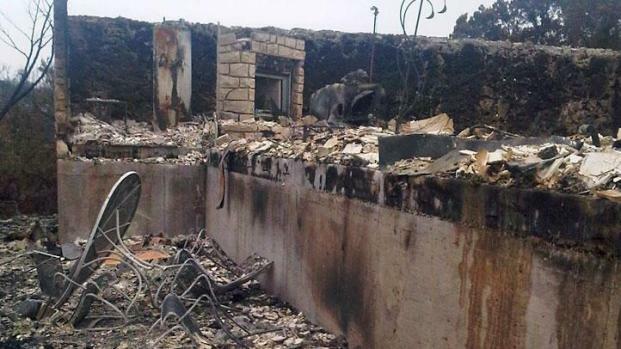 Volunteers in several towns near Possum Kingdom Lake have been collecting donations for homeowners and firefighters, but there have been so many donations Pondera Properties, the PK Lake community blog, reports there's no more room for donations. Both the PonderaPK.com and the PK East Volunteer Fire Department are asking for monetary donations only. North Texans who want to support emergency workers fighting fires can also make monetary donations to the Chisolm Trail Chapter of the American Red Cross or the Salvation Army, according to the Tarrant County Emergency Coordinator Melisa Patterson. Donations of food, water and sports drinks are being discouraged at this time. NBC DFW's Scott Gordon contributed to this report.